Welcome to the semifinals of the Jason Romano Commemorative NLCâ€™s hottest baller contest. 15 of the best-looking players on NLC (plus the newest ex-Mariner) face off in a single-elimination tournament. 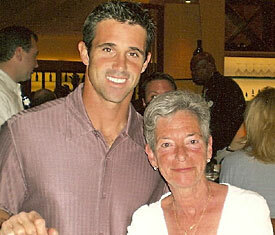 Brad Ausmus comes to the final four by way of the nonReds bracket. He defeated Sean Burnett in the first round and Chris Duffy in the second round. Ausmus brings a very traditional tall-dark-and-handsome kind of hotness to the competition. Bubba Crosby is a cult favorite in the competition. He’s already taken down Bronson Arroyo and Matt Belisle, two very well-liked Reds’ pitchers, to make his way into the final four. Posted in Bubba Crosby, For the Ladies, Houston Astros. I mentioned the Reds placement on an MiLB.com article about the best minor league systems, but the Brewers place in another evaluation article, as well. Despite losing closer Francisco Cordero to the Reds, along with effective middle reliever Scott Linebrink, the Brewers still apparently have a killer bullpen. Heck, the article seems to bestow kudos for getting rid of the 44-save closer. Cordero already had a track record (with Texas) for crash-landing after a big season, so Melvin felt better about rebuilding his bullpen and went all out. A lot rides on whether Guillermo Mota and Eric Gagne can re-enact the deadly combination they formed with the 2002-04 Dodgers. The Brewers were rated 4th best in all of baseball, which I find a little hard to believe. Gagne was unbelievably bad with Boston last year, and Mota’s average, at best. Plus, there’s no real telling how Gagne will pitch now that he’s no longer allegedly juicing. The Brewers could have the best bullpen in the central, although that strikes me as faint praise. 4th in all of MLB? Probably not. Posted in Milwaukee Brewers, NL Central. Just because the Reds have sucked for a long time now doesn’t mean there’s any reason for despair. An article on MiLB.com joins dozens of others in heaping accolades upon the Reds minor league system and prospects. Out of all 30 teams, the Reds are ranked 4th best. Outfielder Jay Bruce is the consensus No. 1 prospect in all of baseball. 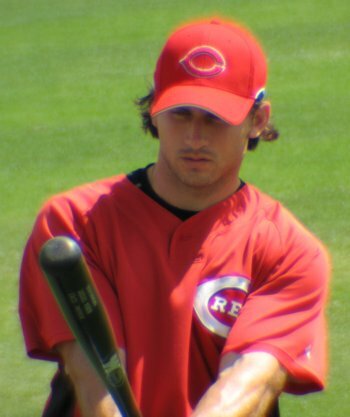 Ace of the future Homer Bailey may have had a small hiccup last year, but finished strongly and is still a Top 10 kind of player. Joey Votto is ready for a full-time first base job in the big leagues now and right-hander Johnny Cueto has generated a ton of buzz in big-league camp this spring, working his way into the No. 5 starter mix. Even if none of these players breaks north with the Reds on Opening Day, you’ll be hearing from them soon enough. Thank goodness the team hired a manager who’s unparalleled in his ability to bring along young talent.